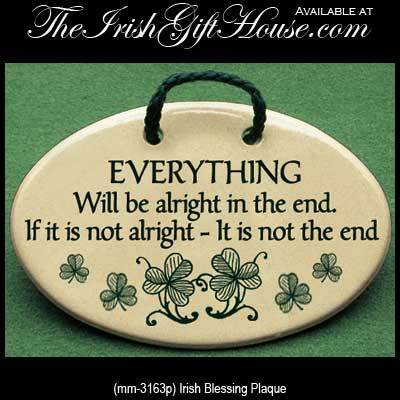 This Irish blessing plaque with shamrocks covers everything. EVERYTHING Will be alright in the end. If it is not alright – It is not the end.